Before you hide me on FB, can you Fedex a large pan of country fried steak??? Ha! Quit talking smack about Auburn and I’ll consider it! I have never put it into words, but, you’re right. We do eat first with our eyes. I can remember Mama commenting/apologizing that our meal was too white or yellow. This looks so tasty. Not saying I’m going to go out and make this, but you actually make it sound doable. I always thought it was more complicated. Mmmm…that looks really tasty. I’ve only had it in restaurants or cafeterias and they’re always have the usually white gravy poured on top (and not too generously), but yours looks much more appetizing. Yum! Hey, the picture is not that ugly! 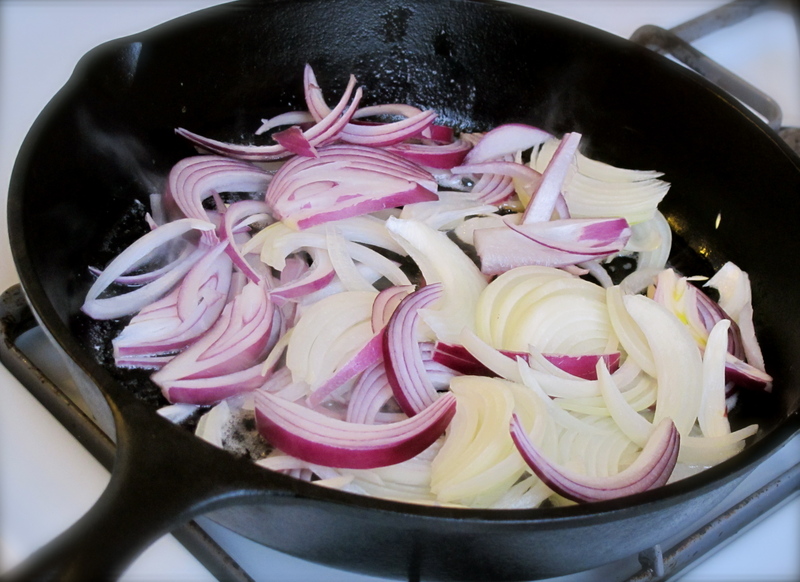 My husband loves onions, and that pan full of onions made his mouth water! Growing up one of the staples in his home was liver and onions, but he says “Cook me some of those country fried stakes please”! Yum. Nana used to make the prettiest meals when we visited her and Mom always did too. Plus they tasted great. I call this country fried when it is fried with no liquid added. 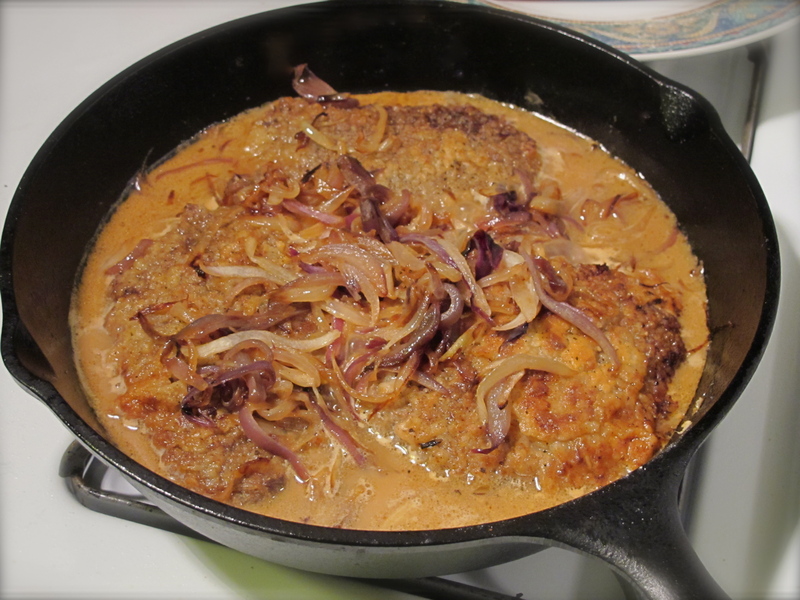 Then if I add water to the pan after they are fried, covered, and simmered then I call it smothered steak. I have never used onions. I will next time. Last night I made four palm size venison fried steaks served with wok fried potato cubes and garlic stir fried uncut green beans. Nice. I can almost smell your cooking, your descriptions are so great.